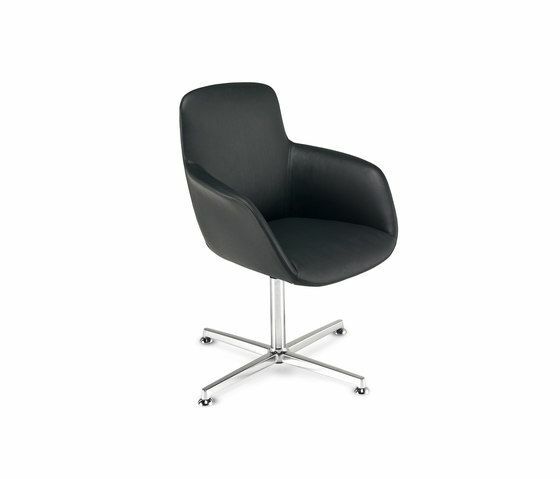 Armchair with cold moulded polyurethane foam shell and back featuring harmonic steel blades. Available with different bases and mechanisms. Frag’s passion for leather was born of a long family tradition: ever since 1921 the company has been treating the material with care, skill and experience, values thanks to which today, after four generations, it can stake its claim on the market as the “leather specialist”.